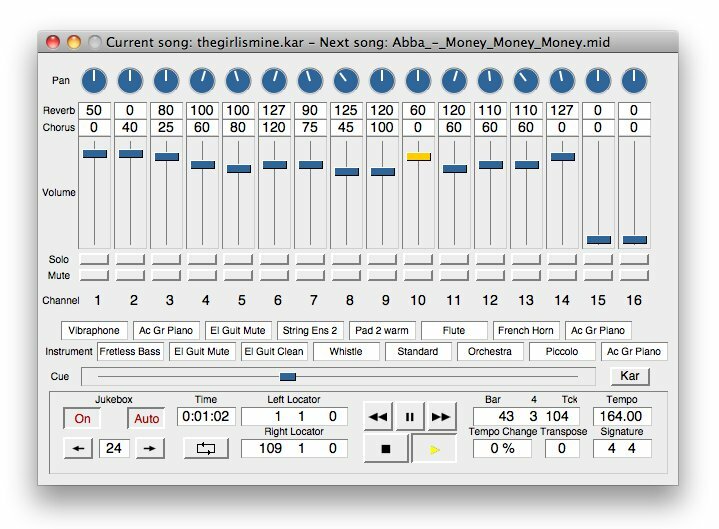 Sweet MIDI Player is a program for not only auditioning all types of MIDI files, but for modifying the MIDI files themselves. Use its mixer-like interface to easily edit the control messages, transpose the music, change the tempo, mute desired MIDI channels, and save the end results to disk. Change the arrangement with easy to use Cut, Copy and Paste commands. It also includes a Jukebox function which allows you to create playlists with up to 99 songs. Sweet MIDI Player features 192 ticks per quarter note resolution, and thanks to multitasking capability, you can use every command while it's running.